A PLANNING application has been submitted which would see a brand new 40-bed boutique hotel in Paisley. The proposal to change the use of Kelvin House and 19th century-built Forbes Place to that of a hotel was lodged with Renfrewshire council last month. 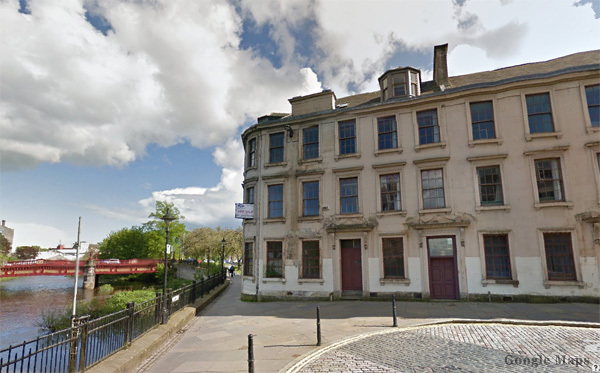 Sited across the River Cart from Paisley Abbey, the application would “produce a set of buildings that are sharp, respectful of their era and well finished to present a suitable high quality building,” says a supporting document from the developer Stewart Leisure & Tourism. Art Deco Kelvin House and surrounding buildings have lain empty for six years. If the conversion goes ahead, the developer says fifty jobs will be created at the new hotel. Applicant Tom Stewart also owns the four-star Ashtree House Hotel near Glasgow Airport.